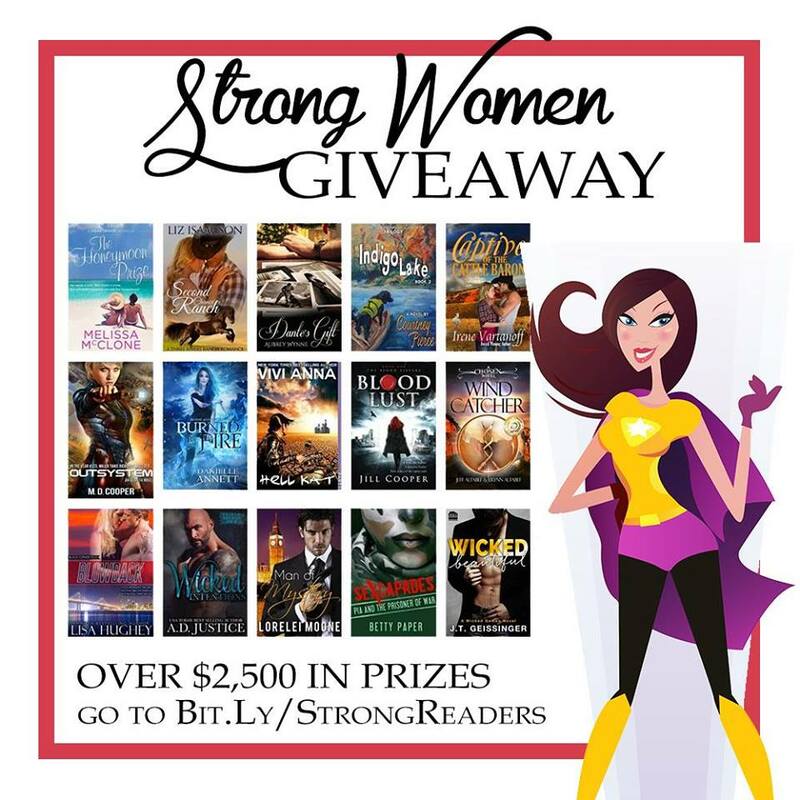 During the month of August, check out the Strong Women Giveaway! 150 authors have come together to offer over $2,500 in prizes, including two grand prizes of $1,000 each. Umm, wow! We’re celebrating strong women in fiction and also have lots of great books at great prices for you to look at—from sweet contemporary romance to hot paranormals, mysteries, fantasy, and thrillers, we’ve got it all. Go HERE to enter and for all the details! This entry was posted in Books, Giveaways, Swag. Bookmark the permalink.